Are you worried about failing in past relationships? To get started on a relationship is always a scintillating experience. When two people get attracted to each other and begin discovering themselves, it’s always a novel and thrilling expedition. However, once the relationship reaches new heights, the difficult parts begin. The phase of everything being a new adventure often dies down within a few years. The focus gradually shifts on how to keep the relationship work. A lot of couples become complacent with their relationship and take each other for granted after a certain phase. Building a long term relationship is often very painstaking and simple things such as watching the other person grow and starting out a family, buying a house or even sharing your life with someone else is wonderful. 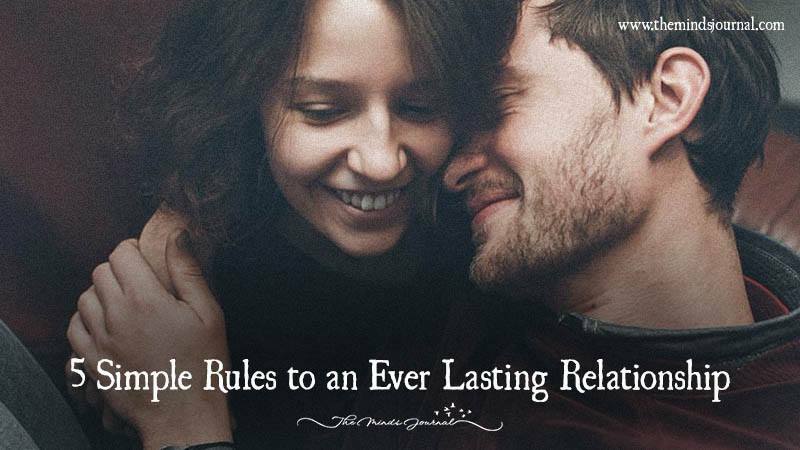 Here are the simple rules that help make your relationship last. In the middle of paying for your bills and working long hours to sustain a family, we all lose sight of the long term reasons of staying together in a relationship. Successful couples are mindful of the “us” in the relationship and have a shared vision in all things in life. In case of a shared vision, a solid foundation is laid that helps build a life together. A long term relationship is not just about physical intimacy but even more than that. The health of the connection depends on maintaining a passionate love life even after marriage. With passing years, work, finances and children along with physical changes makes intimacy a tough nut to crack! Prioritize your intimacy quotient and re-discover each other every now and then. It is a must that all bridges are kept open for interaction. Communication is a vital element in keeping a relationship together. It is important to actually understand when your partner is happy, overwhelmed or even unappreciated. Open communication is the only way that helps maintain equilibrium in a relationship. You should be in a position to demonstrate the appreciation of the other person in a marriage. Emphasizing on what is positive, takes the attraction to a different level. Sparks fly even after a long term (10, 20 or even 30 years). It is important to constantly have the other person validating his or her feelings to you. Research has shown that one of the partners would change in 7 to 8 years and that this change will be drastic in some cases, while slow in some. This makes a difference in the way our partners behave with us. Two different people mean that their viewpoints are different. This is evident when taking a decision both big and small. When there is a disagreement, you should work towards not making it a full-fledged argument and discuss things calmly and rationally.